In this article we look at ways to improve Customer Retention. Many believe that attracting new customers is vital to the growth of your business. While we agree that gaining new customers is great for business and does play an important role, your marketing efforts will be wasted if your customers do not keep coming back. Retaining customers is paramount for ensuring the growth of both your business and profits. If customers keep returning, not only are you benefiting from repeat business but with each transaction the customer makes they are becoming more loyal to your brand and more likely to recommend you to friends and family, in turn increasing your customer base. The way you communicate with your customers, they experience they have and the way your brand makes them feel are all key in customer retention. 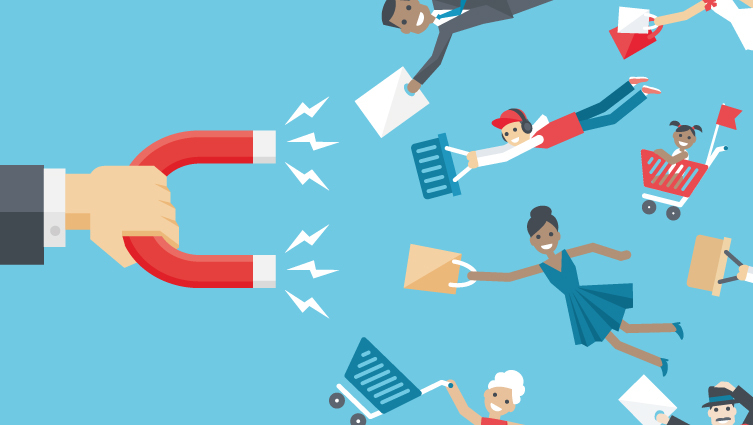 Let’s take a look at a few of the ways you can improve customer retention. Building a relationship with your customers is more likely to result in repeat business and the relationship doesn’t end after the sale. Keep in touch with your customers, thank them for being a customer and reward them with special offers or loyalty discounts. Encourage your customers to keep up to date with you via your social media channels and company blog. One of the best ways to keep customers coming back is to ensure that every aspect of their experience with your brand is of the highest standard possible. If customer experience is not part of your marketing strategy – it needs to be. Simplifying and personalising the purchasing process will lead to a good customer experience, think about how you feel when you visit an e-commerce website that is overly complicated or hard to use compared to one that is quick and easy to use. As consumers when we have a good customer experience when making a purchase we are likely to purchase from that business in the future and highly likely to tell people how easy it was and how great the company are. Personalisation in all customer communication helps each customer feel valued and makes the communication feel less automated. Put your customers’ needs first to ensure that they feel valued and listened too. If customers are telling you they do not like something about your business, then look into the issue and let them know that you are looking into it. If something needs changing, then change it and let your customers know that you have changed. Asking your customers for feedback gives you the opportunity to gain insight into what they think of your company and gives you the chance to remedy any negative experiences and demonstrate your excellent customer service. You often see numerous deals and special offers for new customers, but what about the customers that have been loyal customers for a number of years; they need rewarding too. Offering discounts and special offers for loyal customers will boost loyalty and repeat business. Loyalty schemes such as the Tesco Clubcard and Boots Advantage card are great examples of businesses rewarding loyalty. On a smaller scale, a simple email or direct mail thanking your customers for their business and offering them a discount for a limited time will make the customer feel valued and appreciated and more likely to return. If you have any questions about customer retention or what Blackberry Design could do for your business, get in touch on 01527 517309 or fill in our contact form.